Everyone wants an Oscar, but no one wants a Razzie. Unfortunately, the folks behind the Golden Raspberry Award Foundation have announced their nominees for the worst that film has to offer. It’s awards season, which means the Golden Globes, Oscars and, of course, the Razzies. While Hollywood spends months patting itself on the back, the Razzies acknowledge the worst of the worst. Once again, Adam Sandler has found himself as a multi-nominee thanks to last year’s Grown Ups 2. As a matter of fact, the film leads the pack with eight nominations, including Worst Picture. But Sandler’s not the only one feeling the burn. First-time nominees Johnny Depp, Naomi Watts and Selena Gomez also made the list. 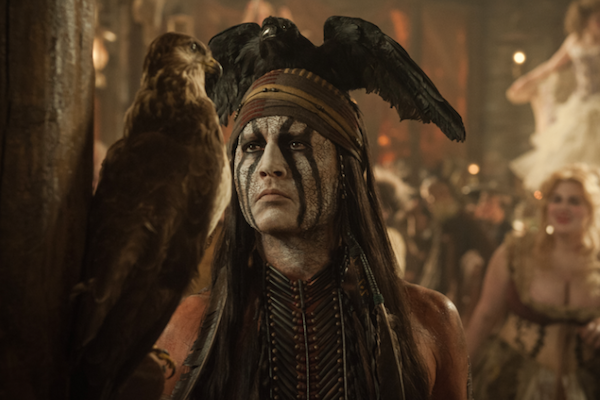 Depp can thank his critically panned The Lone Ranger adaptation for his inclusion. The film earned a nod for Worst Picture and Depp was nominated for Worst Actor. But he’ll have to battle Sandler (for Grown Ups 2), Jaden Smith (for After Earth), Ashton Kutcher (for Jobs) and Sylvester Stallone (for Bullet to the Head, Escape Plan and Grudge Match). The Razzies will be handed out on March 1. What do you think of this year’s nominations?